From educating patients and their families on lung cancer to supporting the same demographic with events and research, the LUNGevity Foundation has been focused on changing the outcome of lung cancer diagnoses since 2001. 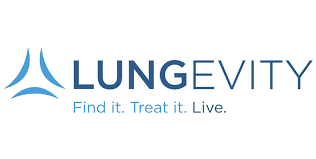 "LUNGevity is committed to raising awareness that anyone can get lung cancer. We believe that the dialogue can move beyond the stigma of the past, and focus on the incredible progress being made in lung cancer research over the last five years, resulting in new treatment options for patients," said Linda Wenger, Senior Vice President of Marketing and Communications for the LUNGevity Foundation. Wenger said LUNGevity utilizes "Breathe Deep" events throughout the country as one vehicle for awareness. These events, normally walk/run-type events, celebrate survivors and honor those lost to lung cancer. All the events are spearheaded by volunteers, such as Tonya Vankirk of Mobile, Alabama, whose father Fred “Buddy” Johnson passed away from lung cancer nearly two years ago, and Margot Cohen of Pittsburgh, who is holding her event in honor of her mother, Rhonda Cohen. "These walks bring together patients and survivors, caretakers, advocates and healthcare providers to build community and support for those affected by lung cancer," said Wenger. LUNGevity offers educational programs to patients with lung cancer and their families, such as Lung Cancer 101. This resource is a comprehensive, medically-vetted online guide to understanding how lung cancer develops, how it can be found, and how it can be treated. Online survivor and caregiver resource centers are provided by LUNGevity to help patients live well, despite their diagnosis and even aids patients in formulating important questions to pose to their medical team. It also provides downloadable booklets on clinical trials, treatment options and types of lung cancers. Beyond online resource centers and downloadable packets, LUNGevity also offers an entire spectrum of offline resources. "LUNGevity offers the largest network of online support and in-person survivorship programs for all people affected by lung cancer. Patients and caregivers can receive peer-to-peer support and information from our Lung Cancer Support Community (LCSC) message boards, and be matched with a LifeLine mentor who has had similar experiences," said Wenger. "LUNGevity HOPE Summits are conferences designed specifically for patients, survivors and caregivers to hear from medical experts, inspirational speakers and each other. These unique meetings build communities of hope and support for people at all stages of a lung cancer diagnosis." For all the benefits patients reap through LUNGevity, the proverbial sowing is minimal. "LUNGevity educational resources are free of charge to patients and their families, as are LCSC and Lifeline. HOPE Summits are free to attend, however there is a $50 registration fee for the annual National HOPE Summit held in May in Washington, DC, to cover two and a half days of meals. First-time survivor participants may qualify for a full or partial travel grant," said Wenger.